Are you looking for a BASIX certificate for your next project in NSW? At Certified Energy we take pride in helping our clients and their projects reach their full potential. We ensure maximum savings and minimum energy use, thereby allowing for cost effective yet sustainable solutions. If you would like to apply for a BASIX certificate, read the description below. You can also call us at 1300 443 674 where our dedicated staff will be happy to help you. BASIX (Building Sustainability Index) aims to accommodate NSW with more resilient dwellings through reducing greenhouse gas emissions and water consumption. Obtaining a BASIX certificate means your residential building will have passed the NSW Government’s environmental targets. As well as contributing to a sustainable future of urban planning, you as the homeowner will also financially benefit through reduced water and energy bills. 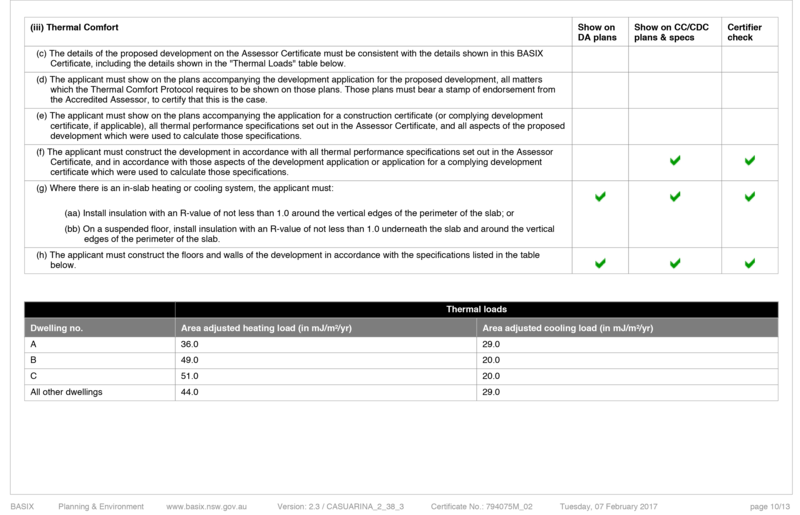 minimum performance levels of thermal comfort. 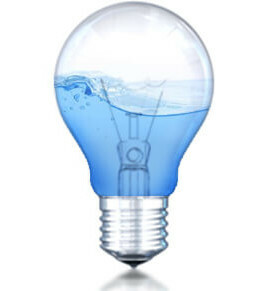 Learn how to reduce water! Water – the average NSW consumption of potable water from the residential sector. 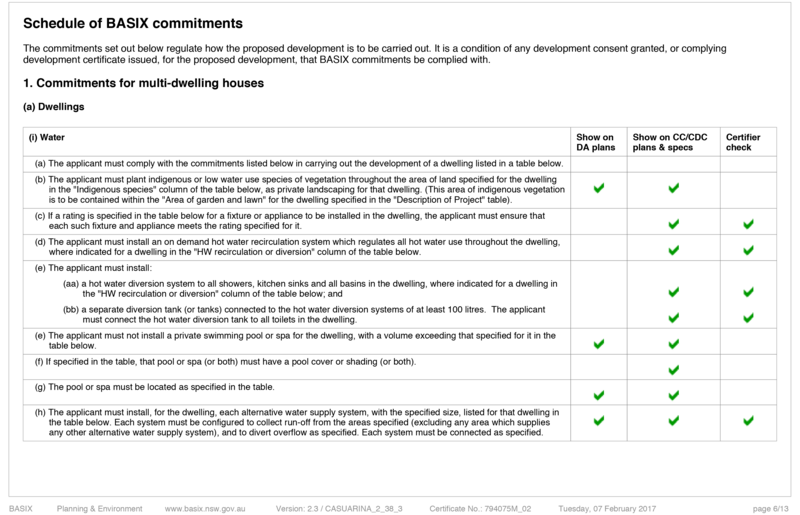 Energy – the annual average NSW greenhouse emissions from the residential sector. What do I need a BASIX Certificate for? Swimming pools and/or outdoor spa with water capacity greater than or equal to 40,000 litres or 40 kilolitres. What do I need for a BASIX Certificate? 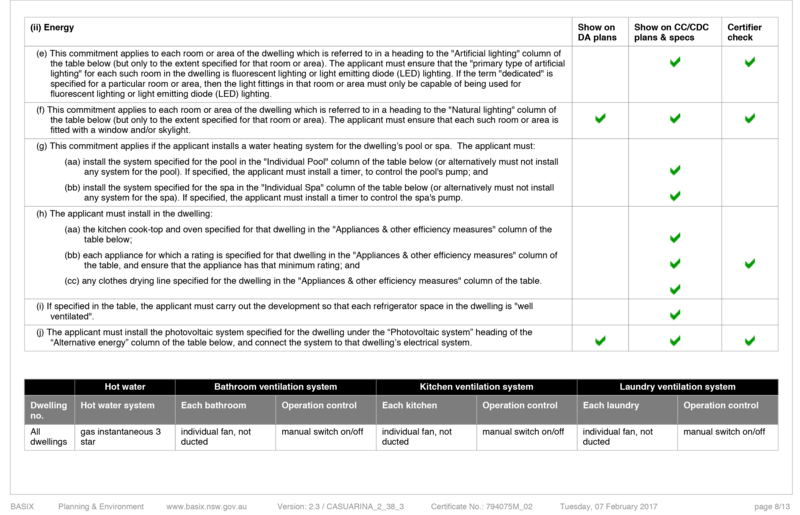 Just download and fill out our BASIX Checklist and you are ready to go! How much is a BASIX certificate? 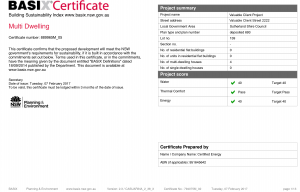 BASIX (The Building Sustainability Index) was introduced as part of the NSW Government’s 2004 initiative to ‘encourage sustainable residential development’ and is in effect part of the Environmental Planning and Assessment Act. 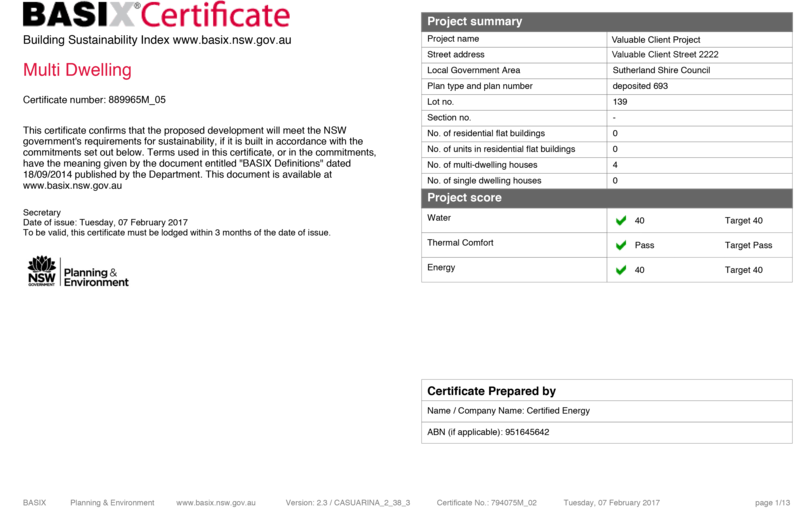 The BASIX certificate aims to accommodate NSW with more resilient dwellings together with reducing greenhouse gases and water consumption. BASIX was established to meet targets of up to 40% reductions in water consumption as well as greenhouse gas reductions by up to 25%. As a result, this delivers financial savings for the home owner. appliances used within the building. Additionally, it also considers thermal comfort levels which lessens the amount of energy used by dwellings in order to heat or cool the house to a comfortable level. As well as contributing to a sustainable future of urban planning, you as the homeowner will also financially benefit through reduced water and energy bills. Your BASIX certificate will confirm that your proposed project will abide by the NSW Government’s sustainability targets since obtaining a BASIX certificate means your residential building will have passed the government’s environmental targets. What are the requirements of a BASIX certificate? To determine water and energy targets, the average benchmark for per person consumption of potable water and greenhouse gas emissions within the NSW residential sector is calculated. Water – the NSW benchmark per person is 90,340 litres per year. Energy – the NSW benchmark per person is 3,292 kg of CO2-e per year. Additionally, alterations and add-ons to existing dwellings which cost greater than $50,000 also require a BASIX certificate. 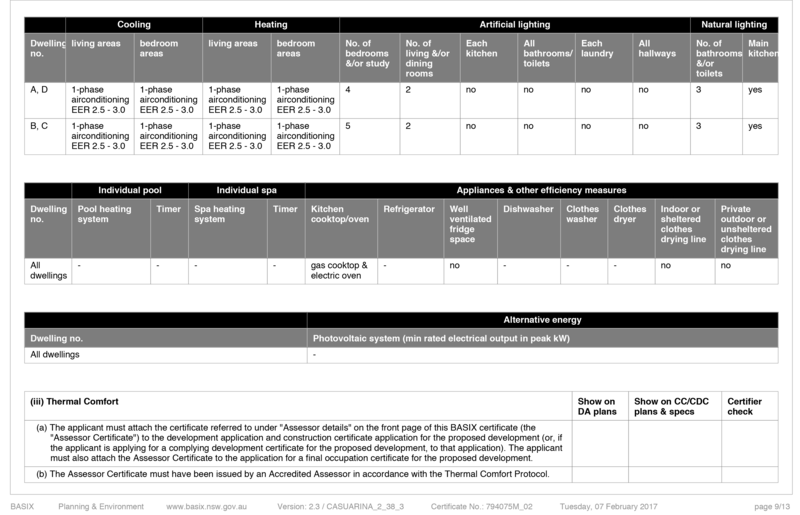 Aggregated energy efficiency ratings cannot be used for the assessment of a project containing more than one dwelling as each component of the development must pass a minimum level of energy and water efficiency.As such, the Environmental Planning and Assessment Regulation (EP&A) state that an additional BASIX certificate is required if the proposed project involves the alteration, enlargement or extension of a BASIX building containing more than one dwelling. 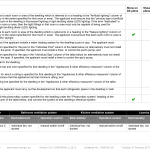 How is the BASIX certificate assessed? 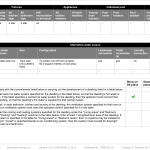 To assess the BASIX certificate, you can use the online Assessment Tool which will determine the sustainability of your development application. 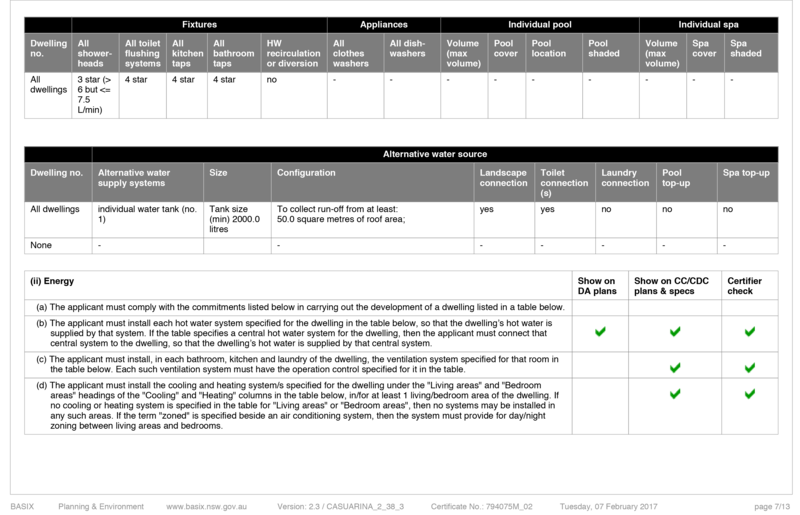 The assessment tool analyses data of the proposed dwelling’s design against the NSW Government’s water and energy targets. 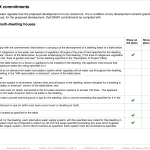 A BASIX certificate is issued upon meeting the BASIX target requirements and paying a fee. How much does a BASIX certificate cost? BASIX cost includes the required costs of the BASIX certificate as well as the cost of assessment. The cost of the assessment varies depending on the size and difficulty of the project. The cost can range from $200-$350, inclusive of GST and government disbursements which vary depending on the size of the project. Usually an hourly fee of $100 is charged depending on the number of hours required to complete a project. Single dwellings take approximately 4 hours to complete and therefore cost approximately $400. This is in addition to the cost of the BASIX certificate and government disbursements. Get your BASIX Certificate online! What are the limitations of BASIX? There are various circumstances where BASIX fails to meet the thermal modelling capabilities of NatHERS. BASIX specifies each component of a house individually, whereas NatHERS does not. 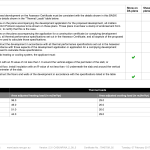 This makes using BASIX alone difficult as the ‘rapid method’ of assessment jumps to solutions such as expensive windows or shading devices, impacting costs and aesthetics. For example, BASIX may specify higher performance glazing such as double glazing, however, NatHERS has the ability to compensate elsewhere, for example increasing the insulation to avoid the expense of high performing windows. This makes the use of both BASIX and NatHERS much more cost effective in terms of construction as well as continual energy expenses. 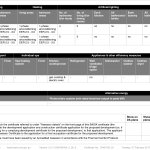 Am I able to change my BASIX commitments after a construction or complying development certificate has been issued? In order to change your BASIX certificate commitments after the construction or complying development certificate has been issued, you will need to revise your BASIX certificate in addition to applying for new construction or complying development certificates. To get a quote for a BASIX certificate on your project please click here. To get a quote for a BASIX certificate on your project please click here on the button below.